A training which frees the sleeping energy, bringing it into contact with the centre, creating trust and connection with personal powers. The energy released on the one hand makes us feel more expanded and brighter and on the other allows us to observe, listen and accept any discomfort. In the process you will recognize and understand those behaviors that contribute to the recurrence of discomfort and in the recognition healing will occur. This method was developed by Sw. Chidvilas and Ma Veet Upadhi following the indication by the Spiritual Master Osho. It is a training that teaches an individual session that brings: relaxation, revitalization, centering, emotional cleansing, confidence, greater presence, clarity in bringing to light what is expanding the feeling. Teaches to recognize and intervene on the energy field (Aura) in order to increase the state of psycho-physical well-being at all levels (thoughts and beliefs, emotions, sensations, physicality). It is a journey that can be undertaken both for personal growth and as a professional specialization and can also improuves already acquired techniques such as body work, counseling and energy healing. During the journey, the operator will have the opportunity to explore and deepen meditation through the use of different techniques from Western and Eastern traditions. Thus, a process of inner growth and transformation is initiated by experimenting and understanding the energetic and spiritual events of life events. 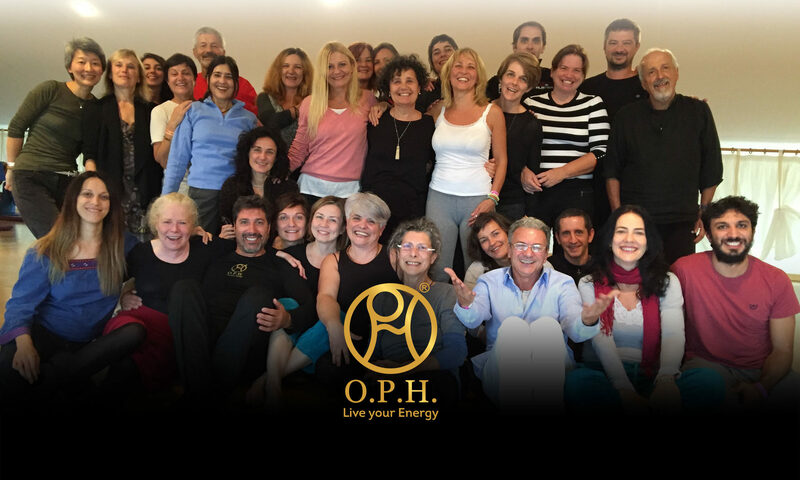 The OPH has operators and teachers all over Italy, and it is recommended to be followed by a tutor during the training. During the years Upadhi formed hundreds of people in OPH and everyone noticed a transformation in his life, being deeply touched by the encounter with himself and his vital energy. Follows a list of operators who have completed the training and offer OPH sessions. She has thirty years of experience in energy work, she has co-developed OPH, a synthesis between the ancient art of pranic practise, the energetic work on the aura field and meditation. She formed hundreds of people helping them to transform their life and for some of them helping them to become operators and teachers. She refined her training in the Osho School of Misticism (Poona), in Osho Academy (Sedona), in Hellingerschule (Bolzano). She founded the OLOS Academy, that forms holistic practitioners, energetic counselors and naturopaths witha specialization in OPH, realizing the dream of obtaining that the meditation hours are considered as a part of the tutorial training. She has the ability to create an atmosphere of acceptance and a contact with joy. With semplicity she uses instruments that help the transformation of the quality of life, bringing more relaxation in everyday life. She can help the journey to the source of vital energy in everyone of us, uncovering the hidden potentialities, to live a more harmonic life. 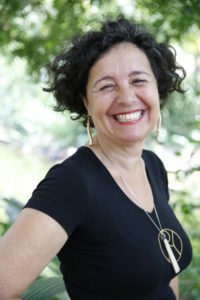 Upadhi lives in the tuscany hills, near to Miasto, where she offers seminars, trainings, individual sessions and she continues to travel in Europe, China, Taiwan, Brasil, leading trainings and growth groups.